Indian cooking often intimidates home cooks because of the variety of spices it requires. 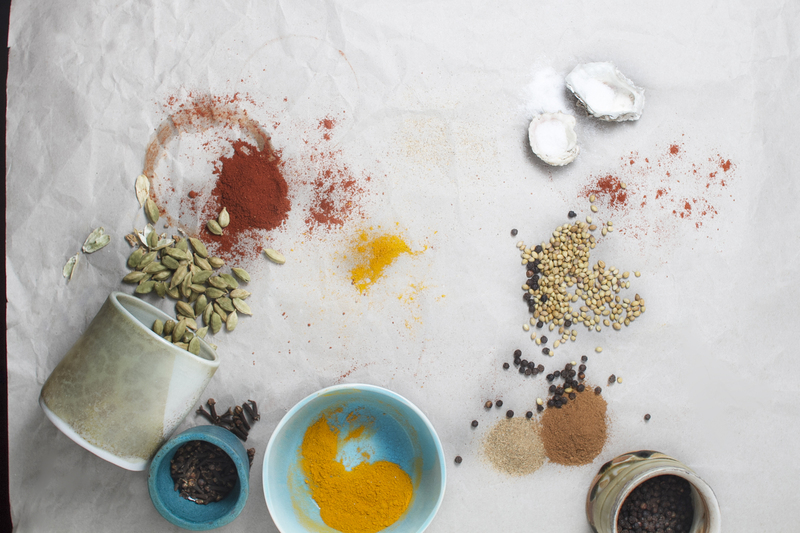 This class will demystify popular Indian spices and teach you how to use them in a variety of dishes. We will make four spice blends together featuring family recipes and cook simple everyday Indian dishes with them. With this hands-on practice, you'll leave this class confident in your knowledge of spices and ability to use them at home. Additionally, you'll be taking home a few tablespoons of extra spice mix to start cooking immediately! Papaji's Garam Masala—a blend of ground spices used extensively in Northern Indian cuisine. Every family has their own blend, and this is Simran's grandfather's recipe. This spice mix will be used in ground lamb kebabs and served with coriander chutney, mint raita, and pickled onions. Madras Curry Powder—a versatile Southern Indian spice mix which can be used whenever a recipe calls for curry powder. This spice mix will be used in vegetable korma. Panch Poran—a Bengali mixture of five whole-seed spices. This mix will be used to flavor a pot of dahl. Mom-in-Law's Chai Masala—Simran's mother in-law's fabulous chai masala recipe will be used to make pots of creamy sweet chai, the perfect end to the meal! Roop's Famous Zeera Rice will also be served with the meal.